Or, why straws aren’t the problem you think they are. One day I woke up in a hospital bed and could not feel my face. I looked around and saw people crying all around me. I could not recognize those in the room with me, nor remember how I got there or what was happening. All that I knew was that I could not move or even speak. Then it all turned to black; I couldn’t tell you anything else from that day or that month for that matter. I have a lot of fragmented memories like this one after being hospitalized for a large portion of my late teenage and young adult life. This was a result of sustaining a TBI (Traumatic Brain Injury) among multiple other internal and external injuries stemming from a very violent act inflicted upon me by a man I did not know, but who felt entitled to ownership of my existence. Fortunately, I survived. However, navigating life as a disabled person thereafter, in an inherently ableist society, often led me to question why. Why bother? This especially became a recurring thought in my mind whenever I faced mainstream issues or experiences that excluded or denied disabled people our humanity. The latest reiteration of normalized ableist exclusion has been the bans and debate regarding single use disposable plastic straws. Every time I come across it online, another one of these vivid memories from my life living in the hospital intensive care unit stirs up in my psyche. I remember in particular one of my friends from high school, Dini, sitting by my hospital bedside, feeding me baby food with a plastic straw that had a tiny spoon fashioned at the end of it. When I had graduated to receiving my sustenance through my mouth rather than through an IV, I had to start with liquids, ingested via regular plastic bendable straws. Eventually baby food and other blended-up food items were fed to me by these special plastic spoon-straws, provided in many hospitals to their incapacitated patients. My jaw had been wired shut for about a total of six months, and plastic straws were the only way I could eat and take my meds. Paper straws were of no use, especially for hot liquids—the paper would just disintegrate. Metal straws were not an option either, because they could lead to potentially serious burns in my already fragile mouth, face, and body from their hot content, not to mention that the metal could damage fresh surgical sites. But also, if I did not have the fine motor functions to eat or drink by myself at the time, having to clean and disinfect reusable metal straws was certainly out of the question. I tried every type of straw there was during that time period to find that only the bendy disposable plastic variety were of any use to me. This is likely the case with people suffering from ALS, dementia, stroke, seizures, or other kinds of disabilities and health issues that would require the regular use of them. Those who want to ban plastic straws argue for these unusable alternatives, or say that disabled people should provide our own straws—at our own expense and effort. That we are expected to do this in order to maintain some modicum of a normal life is only half of the issue with this recent rendition of strawgate. The issue of plastic straws seems to regularly cycle in the mainstream, but a recent viral video of a turtle with a plastic straw stuck in its nostril furthered the impetus for strawgate 2018. It has now resulted in real life bans and never ending ableist debates across developed cities all over the world from Vancouver to Seattle to London, regarding the impact of straws on the environment. In all of the debates and proposed or implemented policies thus far, most have failed to include the disabled community—those of us who depend on plastic straws to carry out basic functions of daily living. Questioning the ableism in these sweeping bans is often met with the rhetoric of “well if you need straws, bring your own.” But when you ask a disabled person to provide their own straws, think of the equivalents. You would not ask an abled bodied person to be even mildly inconvenienced to regularly carry their own chairs and table to an eatery, or carry their own oxygen mask onto an airplane. Thus the onus to offer environmentally friendly alternatives should not fall on disabled people. If an establishment is truly committed to the environment and their clientele (because both are capable for consideration simultaneously), the responsibility to seek and offer viable and usable alternatives that also work for disabled people and not leave us excluded, is on the establishment. Furthermore, the understanding that for many disabled people, the alternatives just don’t, won’t, and haven’t worked for us, is truly absent. Disabled people are constantly under attack, heavily scrutinized and regularly challenged about what we often already know works best for us. After all, we are the ones who’ve lived in our disabled bodies as long as we have and have likely tried the whole gamut of suggestions that any abled bodied person could ever think up—no matter how well intentioned. The reality that disabled people can be masters of our own experiences, and therefore the most experienced regarding our own life situation, seems to be amiss among those who do not share our lived experiences as disabled people. The ludicrousness of being told, expected, and even demanded repeatedly to use alternatives that we’ve likely explored and already know don’t work, is akin to a lay person instructing a cancer treatment surgeon on how and where to remove a tumor. Mastery comes from experience, and there is no greater mastery than that of lived experience. Every so often this uproar about plastic straws makes its way around social media and becomes yet another pop culture display in self righteous faux activism. But the actual facts surrounding ocean plastics are lost under the performative outrage about plastic straws and their environmental consequences. Straws become a false flag that distract the everyday person from real and more pressing issues about the environment, and obscures who should really be held accountable. Plastic straws are a relatively tiny percentage of ocean plastics. Having worked for turtle conservation centers from Ceylon to the Maldives, and being an island person from indigenous cultures where our ways of living are inextricably linked to the environment that surrounds us, I’ve seen firsthand the devastation of plastics on our waters and ocean wildlife. But of all the ocean plastics that washed ashore every day, rarely were any plastic straws. Over 46% of ocean plastics are from fishing nets and gear that are disposed of or left in the ocean. But are we willing to give up on keto salmon diets or our fishing industries, or demand more stringent practices for fisheries, to end the devastation these cause to ocean wildlife? None of the hundreds of turtles that we tried to save and nurse back to health at the conservation centers had been harmed by straws. They had either been severely injured and dismembered or killed from boating accidents. 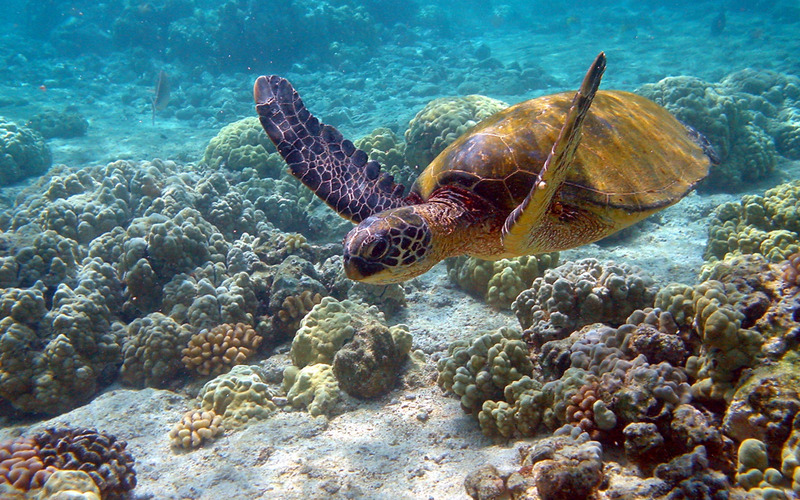 From massive luxury ocean liners, to personal boating vessels, to getting caught in the motors of small fishing boats, it was absolutely devastating to see how many turtles were regularly harmed or killed from human leisure activities. Are we willing to put a cap on human interaction with ocean life and the seas? Are we willing to dial back on ocean wildlife excursions or fishing/boating trips because of their harmful consequences on these poor animals? It is also irresponsible to place the weight and accountability of solving the ocean plastics problem onto individuals. The majority of ocean plastics are from a handful of powerful industrial conglomerates that pollute our oceans despite being warned of the consequences to their behavior since the 1970s. But so-called developed nations have not been making enough substantial, concrete, and legislative changes to seriously help the environment. In addition to not doing enough in holding big businesses accountable for their waste, developed nations often blame developing countries as the sole contributors to our ocean plastics problem, while they quietly ship these countries their plastic waste for disposal. Countries like the United States also refuse to sign onto global conventions attempting to address this urgent issue. While individuals in the west pay more than 90% of the cost of recycling, their governments of these developed nations hand out huge subsidies to big businesses in fossil fuels—even though plastics are made out of fossil fuels. It is indeed an overdue necessity that we clean up our oceans and find sustainable alternatives to our plastic problem, but straws that can make the difference for disabled people as a necessary accommodation are not the hill ableds should die on. We often hear “every little bit counts,” but even if every single person in this world reduced their plastic consumption drastically, it will not have ANY significant effect on our oceans. Instead of putting the onus of reducing ocean plastic waste onto an already marginalized group, why are we not holding these huge multi-billion-dollar corporations accountable for the massive amount of pollutants and plastics they’ve disposed of that are steadily obliterating our environment? The inclusion of disabled people’s needs and accommodations—or even our very existence—always seems to come in the form of a hasty afterthought (and usually after much outcry from disabled communities). People rarely consider disabled people, whether in their policies or in practice within their everyday life. Nor do they consider the necessity of disability inclusion until after disability strikes them on a personal level. But disability inclusion and disability justice has to start being proactively considered and implemented, rather than relegated as a half-assed pitiful attempt after the fact. Disabled people have value and are active members of society whether you choose to see us or not; therefore mainstream discussions about public policy and social change needs to include us in these processes. When we tell you what it is we need and the accommodations that we require, believe us. It’s not much to ask that businesses seek out and invest in viable alternatives while also keeping proven options that disabled people need available. Blanket bans don’t work in a diverse society filled with all different kinds of groups of individuals with unique needs and lived experiences, and disabled people shouldn’t be forced to draw attention to ourselves through never-ending requests that you make accommodations for us. Maybe if disability inclusion training was normalized, this wouldn’t have to be said. But until then, I have to make these points. Blanket bans unreasonably force disabled people to advocate for special considerations about necessary and reasonable accommodations requests that should already be in place. This often results in arbitrary and inconsistent decisions reflecting often inaccurate perceptions about necessity or merit that are framed by ableist biases and assumptions, from individual staff members that may not have the knowledge, understanding, or training about disability inclusion and accommodations. It goes without saying that disability justice and inclusion training should be a staple of every establishment and public service. We need to hold big businesses and governments accountable for their pollutants and ocean plastics waste, rather than putting the weight of environmental concern, action, and sustainability onto individuals. There is only gain from offering tried and true plastic straws to those who depend on them, and these should be offered without questions nor proof of disability. Considering the popularity of strawgate, it’s reasonable to assume that those who do not need plastic straws will not insist on having plastic straws be given to them. We need to move away from being an ableist society that demands disabled people prove our legitimacy, especially when current methods of having to legitimize ourselves are most often carried out in ways that are deeply dehumanizing and embarrassing, a breach of our privacy in a public setting, or otherwise exhausting. Disabled people have a right to have our humanity and dignity recognized, considered, and accommodated without becoming the casualties of performative faux altruism by ableds. Ideas about accessibility should not be relegated to being a hasty afterthought out of pity, guilt, or irrational fears. Listen to what disabled people tell you we need—even if that means plastic straws.